Shanghai Freemen offers exceptional ingredients and solutions to enhance the performance, taste, and nutritional benefits of the world's most celebrated brands. Shanghai Freemen is committed to helping our clients in the food and beverage, dietary supplement, personal care and animal nutrition markets bring their innovative ideas to life. Our exceptional, ethically-sourced ingredients provide the solutions your brand needs to enhance its products’ performance, taste and nutritional benefits. Who We Are We lead the global nutrition market in supplying the highest quality, lowest-priced ingredients to the world’s most celebrated brands. What We Do We take the time to understand your needs in order to develop the products you want while staying aligned with cutting-edge scientific innovation and market trends. How We Do It We share your values of ethics, transparency and integrity. Our team builds close relationships with responsible suppliers and distributors who we know and trust to meet your expectations. Shanghai Freemen Americas offers 20 years experience, special- izing in the manufacturing, sourcing and distribution of raw materials. Headquartered in Shanghai, and with 5 local U.S. warehouses, we pride ourselves in long-standing relationships with our key factories, providing an in-depth market analysis, and working on a transparent basis. Shanghai Freemen provides exceptional ingredients and solutions to enhance the performance, taste, and nutritional bene ts of the world’s most celebrated brands. Since our doors opened in 1995, we have focused on supporting our customers in the food, beverage, dietary supplement, personal care and animal nutrition markets, by helping them bring their ideas to life. As a leading ingredient expert, we have built a team of highly educated and experienced players to ensure maximum success for everyone involved. Our team, consisting of product managers, account managers and quality control experts, work as one to provide the highest quality ingredients. We service many markets by providing a robust portfolio of in- gredients and solutions to companies across the globe. Shanghai Freemen delivers value by providing extensive market research and quality surveillance, while maintaining close relationships with our partnered factories. To create our core portfolio of ingredients, we manufacture the products we are experts in and partner with other leading manufacturers by leveraging our world class global distribution system. This allows us to provide direct access, greater control, and complete transparency throughout the entire supply chain. 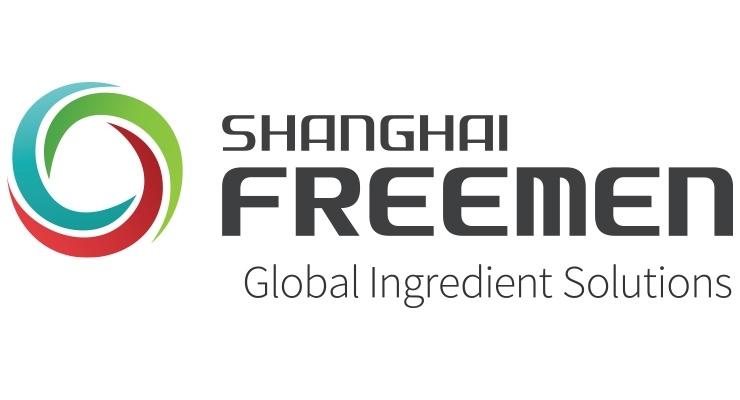 Shanghai Freemen is a global ingredients solutions provider, headquartered in Shanghai, China with locations in the Americas, Europe, Australia and Japan.